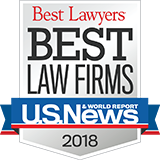 Roach Newton, LLP represents clients in complex business fraud litigation involving deception, theft, misrepresentation of facts and unfair trade practices. Represented a publicly traded company against common law and statutory allegations of fraud arising from an alleged scheme to manipulate stock prices. The first trial ended in a hung jury and mistrial, but the jury found for client on all issues in the second trial. Served as lead counsel for a major retail consumer chain in a consumer class action arising from allegations of fraud, Magnusson-Moss violations and misrepresentations in the sale of extended warranties. Roach Newton obtained dismissal of all individual and class allegations prior to trial. Represented an international wood products company against claims of fraud by members of the company’s management. We were able to obtain a summary judgment in favor of the client on all claims of fraud. Represented an international paper company in a breach of contract suit over the delivery of paper products. The jury found against the plaintiff in its claim and for the client on the client’s counter claim.